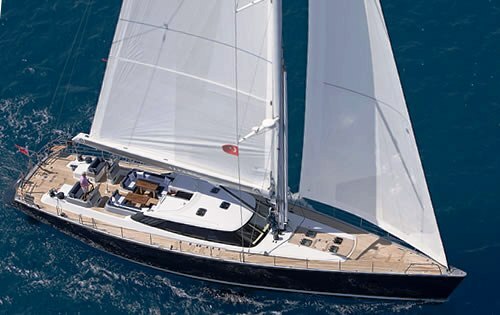 Luxury charter yacht AIYANA is an 82 foot sailing yacht launched in 2010, built by Alia Yachts in Turkey, designed by the renowned Warwick Yacht Design in New Zealand. 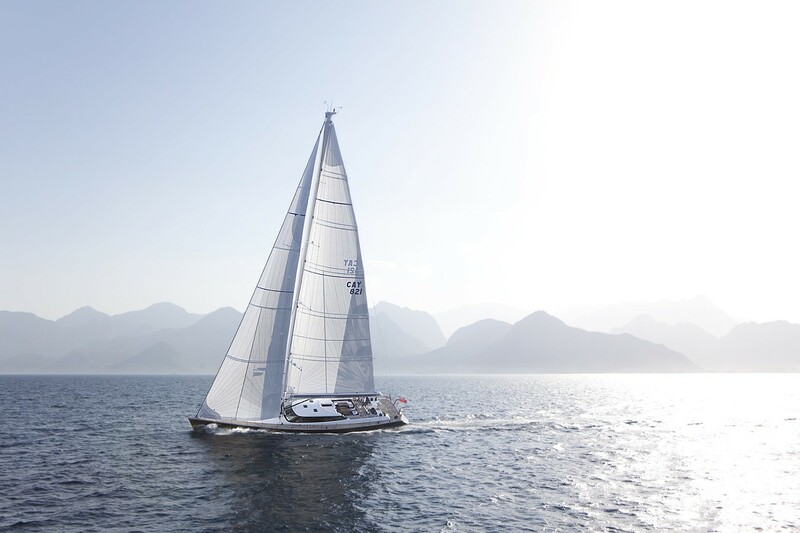 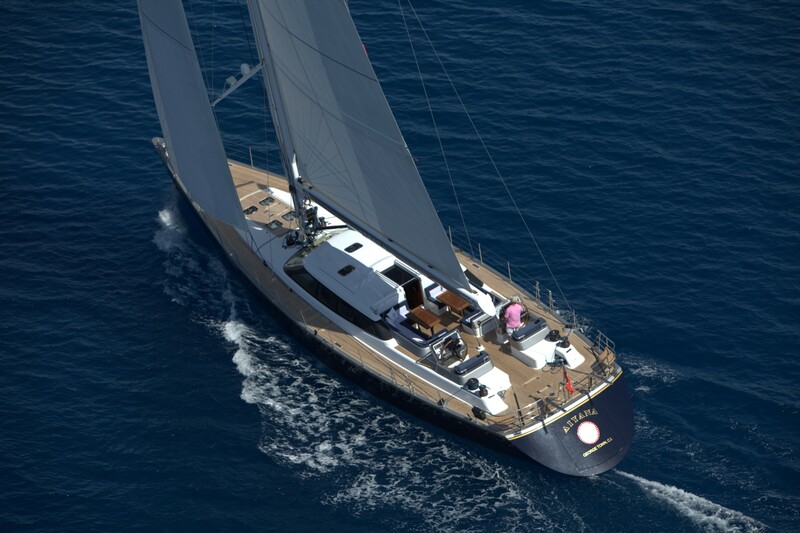 Sailing yacht AIYANA is the first in a fleet of three sister ships. 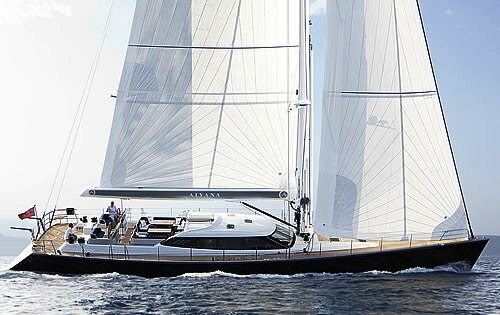 During her sea trials, Alia sailing yacht AIYANA proved to be outstanding providing smooth sailing, while being quiet and comfortable. 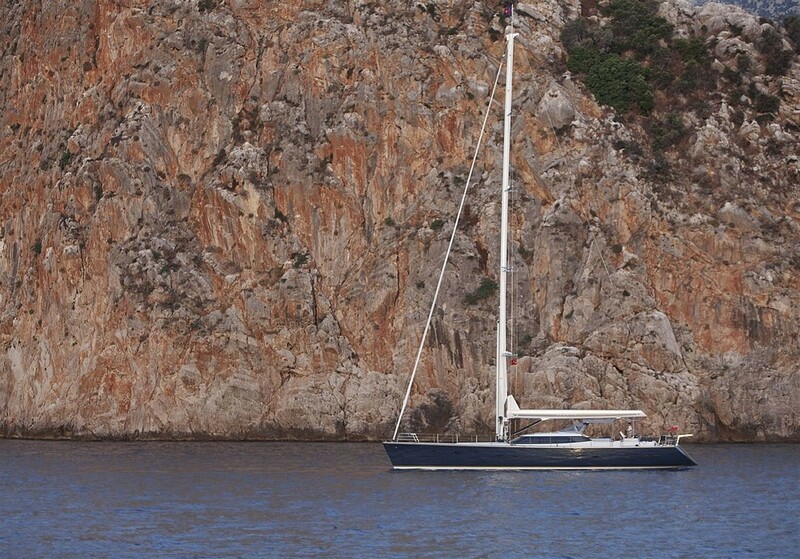 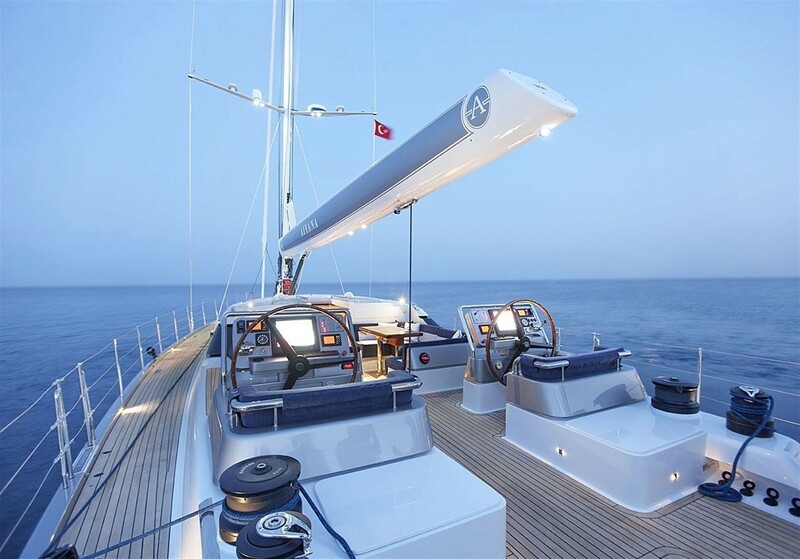 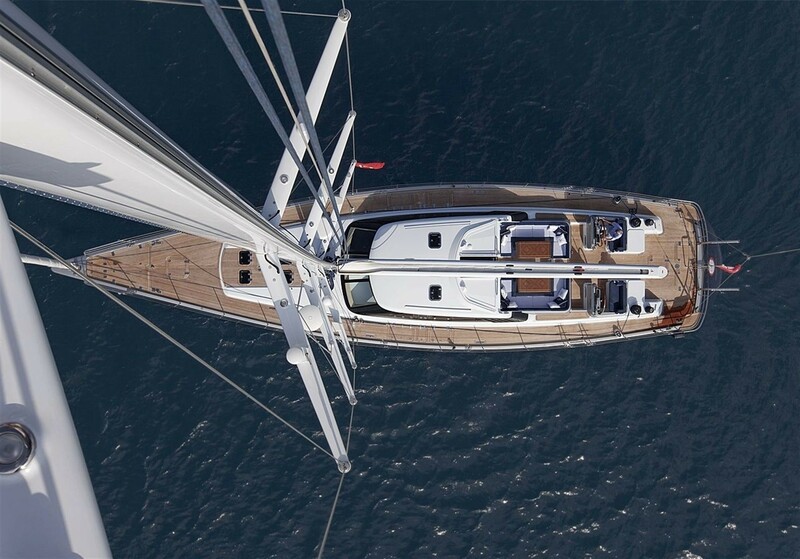 Sail yacht AIYANA has a four-spreader masthead rig constructed from Hall Spars & Rigging Seamless carbon process. 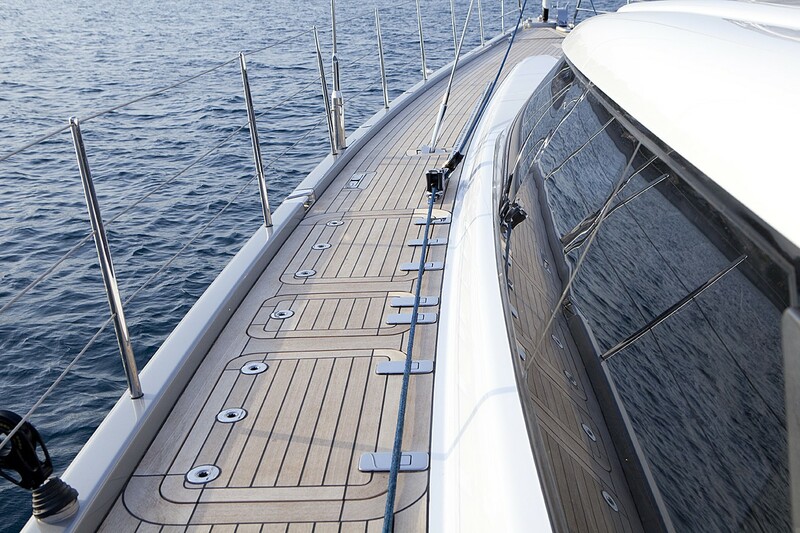 The Hall Oceanfurl boom accommodates a full-batten main for maximum performance. 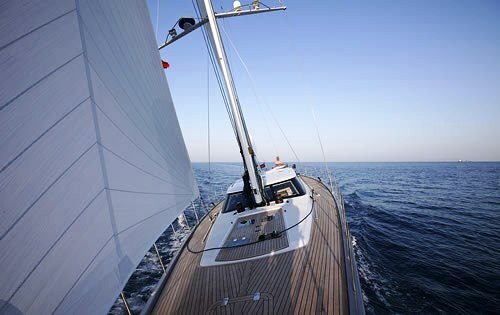 Hall also supplied the carbon spinnaker and jockey poles, as well as the standing rigging. 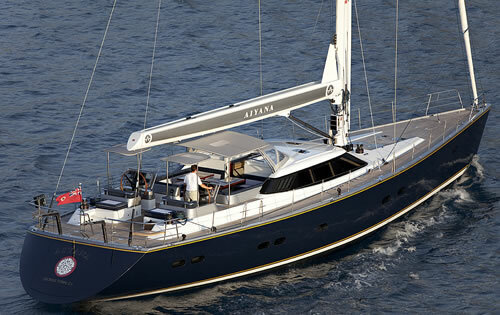 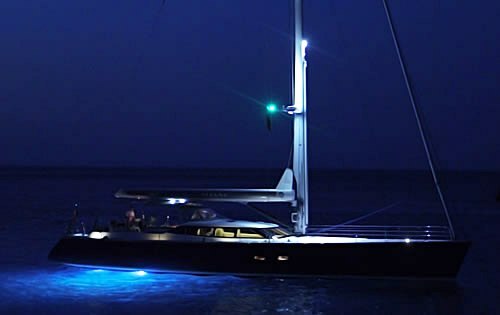 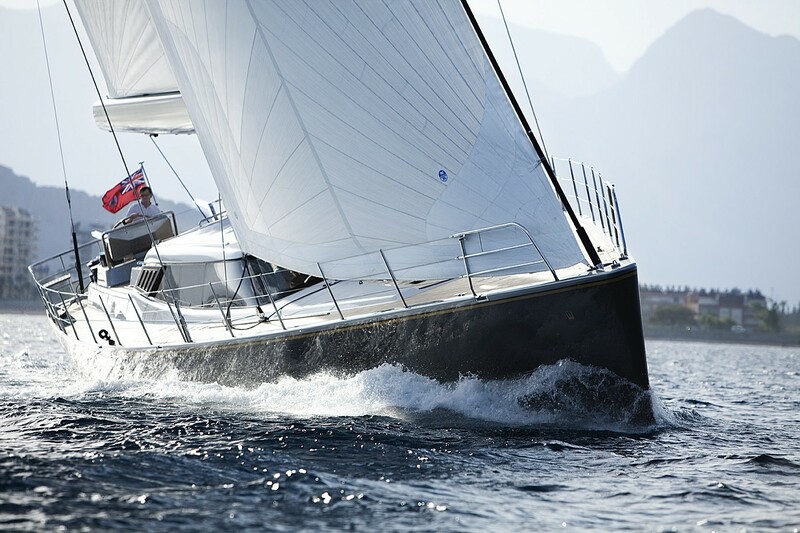 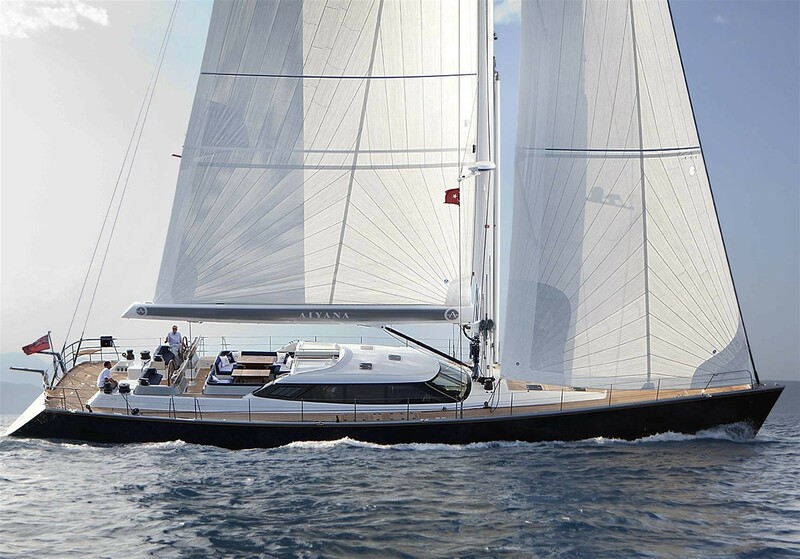 Alia Yachts built S/Y AIYANA’s composite hull. 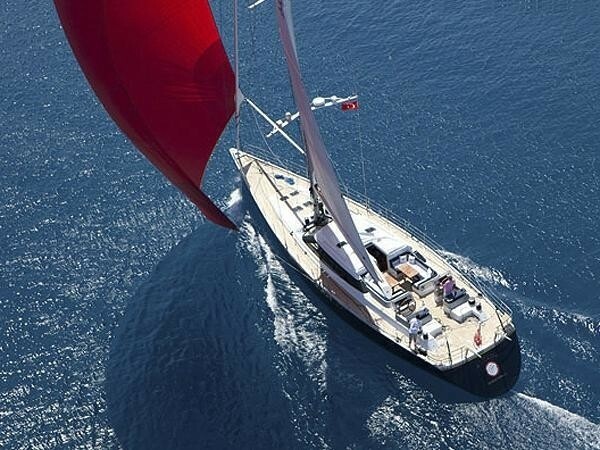 A unique feature of sailing aycht AIYANA is her lifting keel that allows her into shallow anchorages. 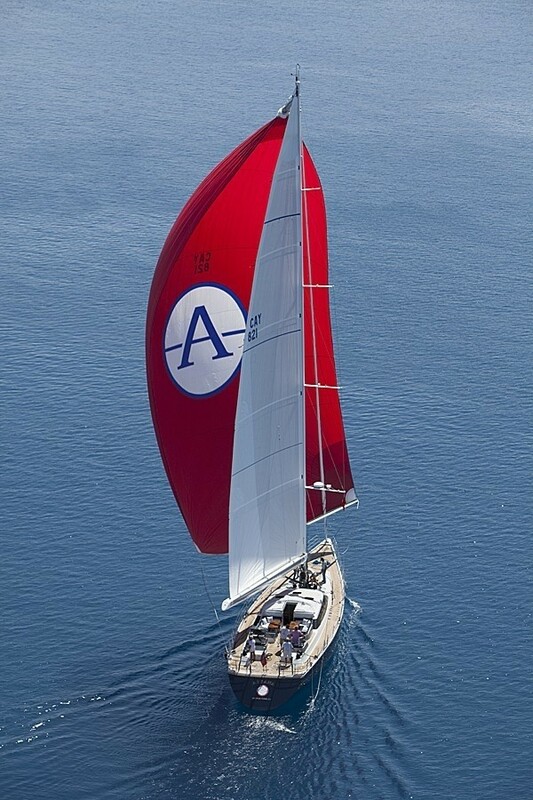 With her Keel down AIYANA has a draft of 4.1m (13'6"). 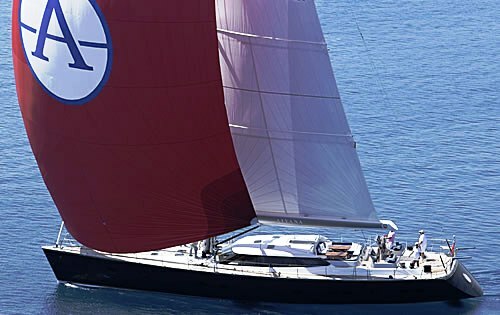 With the Keel Up her draft is 2.28m (7'6"). 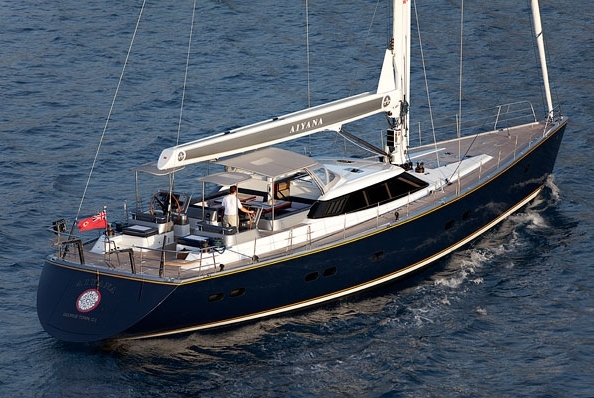 Luxury sailing yacht AIYANA has a beautiful interior that exudes quality, warmth and comfort. 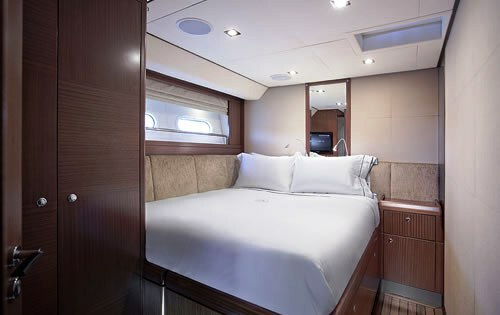 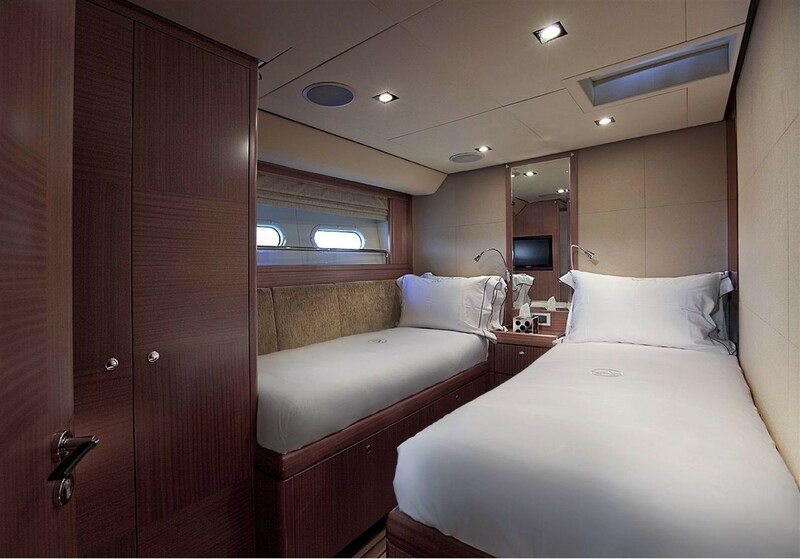 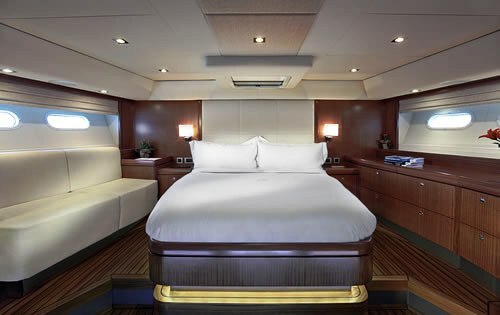 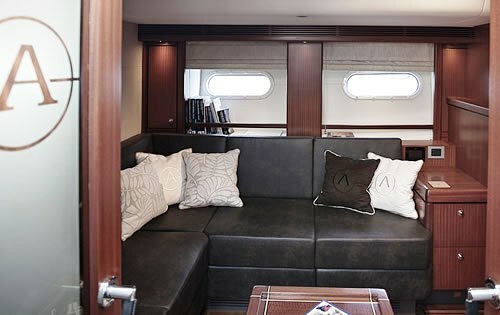 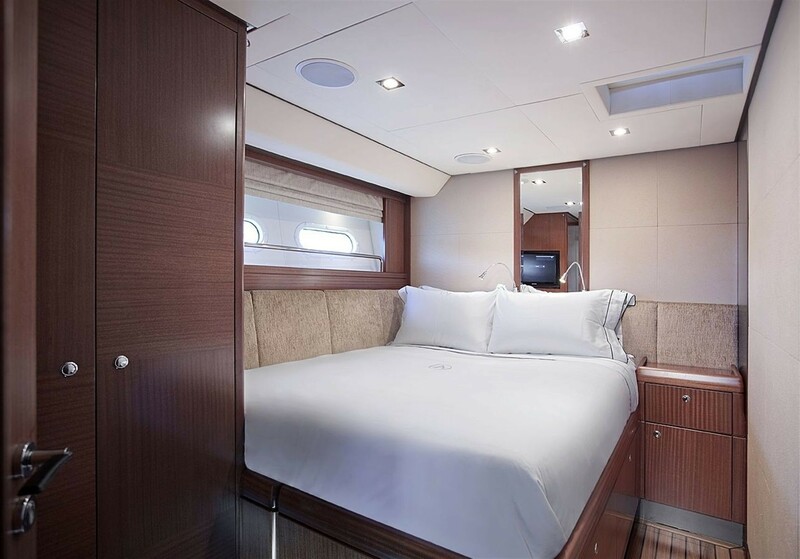 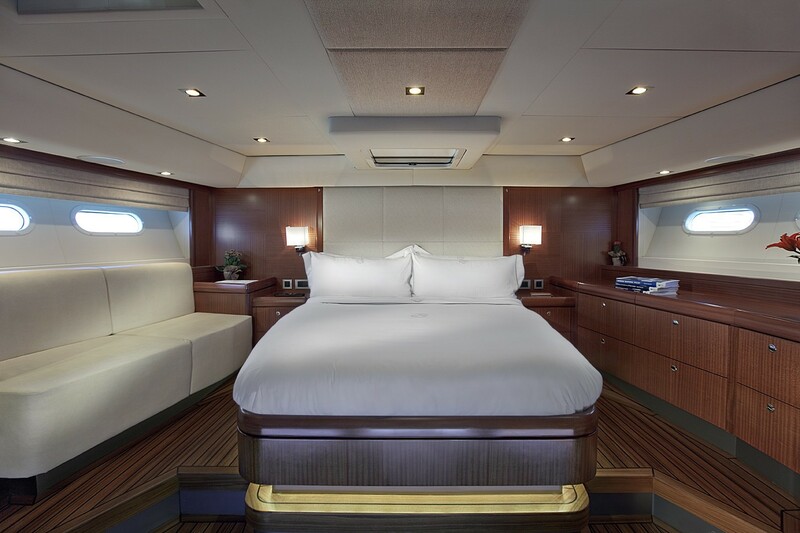 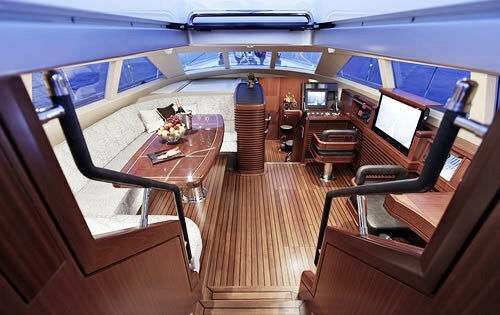 The yachts interior is finished in Sapelle Mahogany and textured fabric panels. 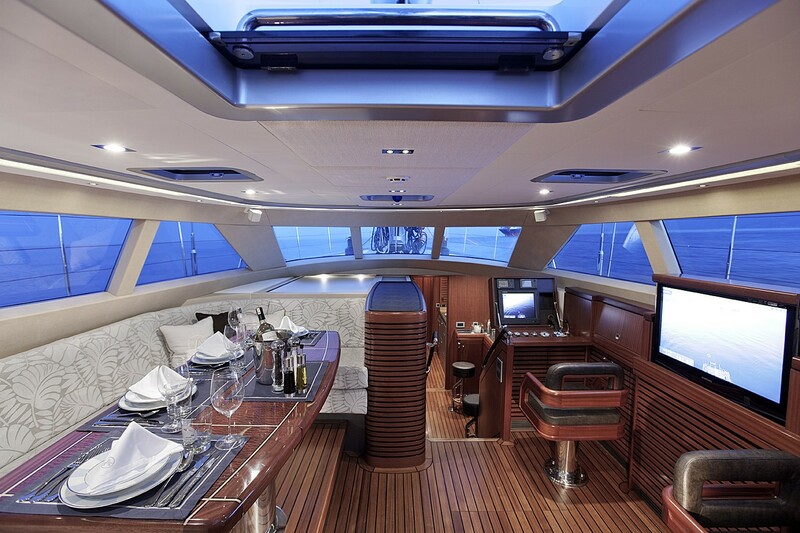 While on-board charter guests can relax in either the upper or lower saloon, or enjoy a drink at the bar. 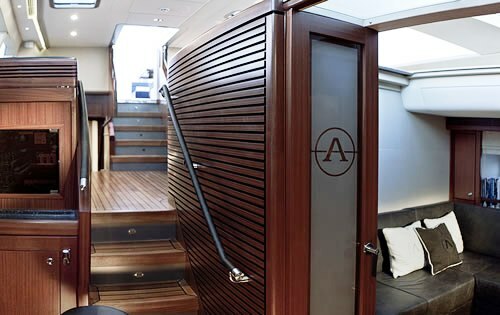 The Warwick 82 sailing yacht AIYANA can accommodate 6 guests in 3 luxurious staterooms all with private ensuite facilities. 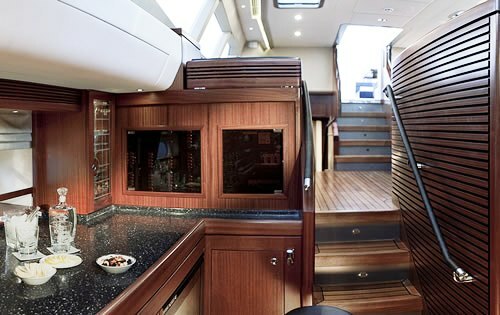 The large master cabin is located aft and is full width of the beam. 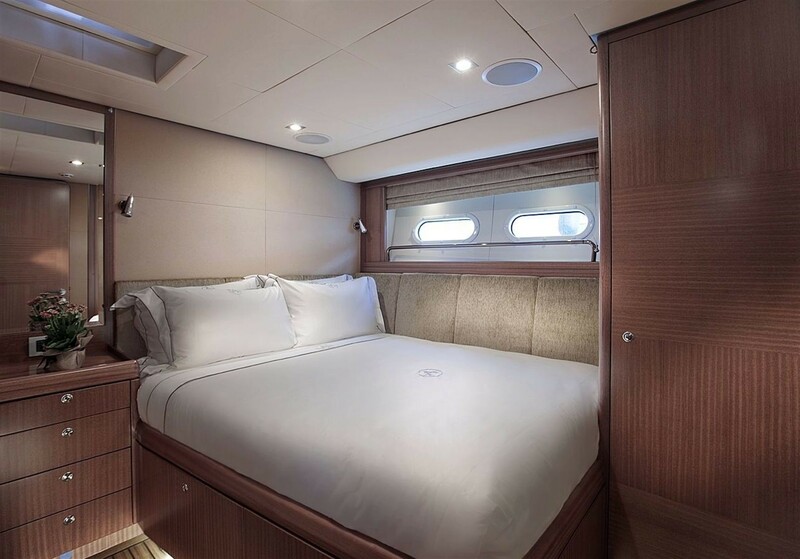 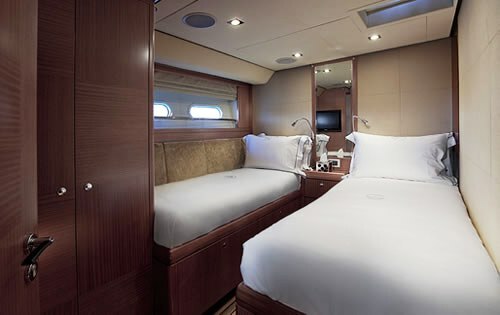 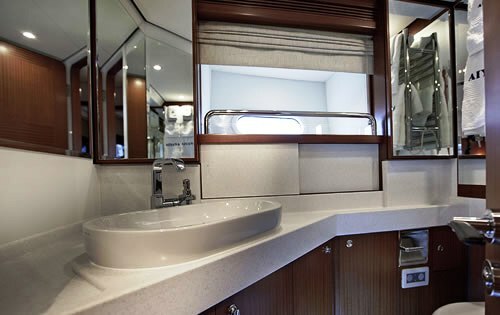 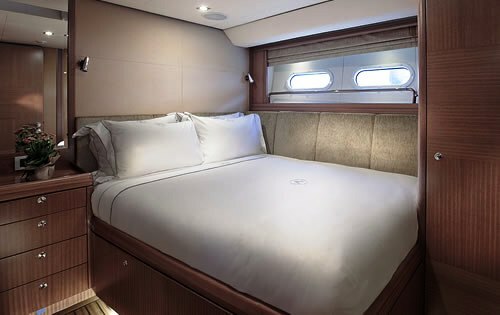 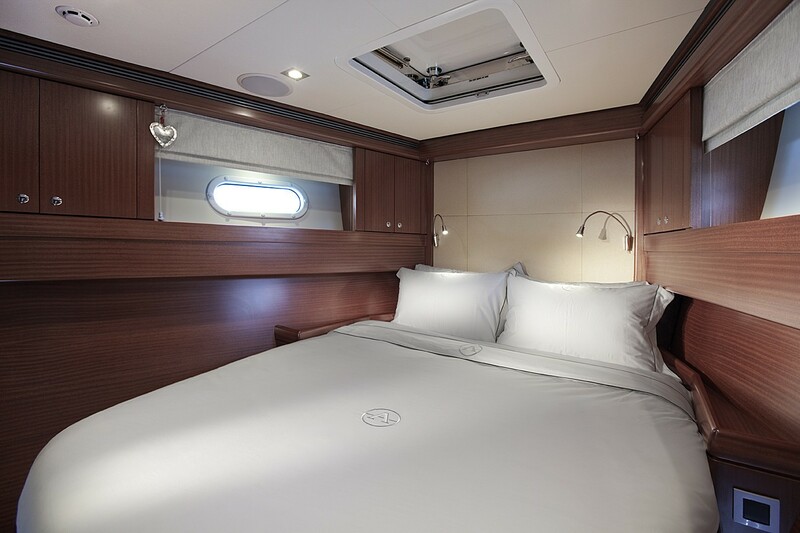 There is a VIP Guest Queen Stateroom and an additional cabin that has Twin beds that converts to Queen sized beds making her ideal for both friends and family charters alike. 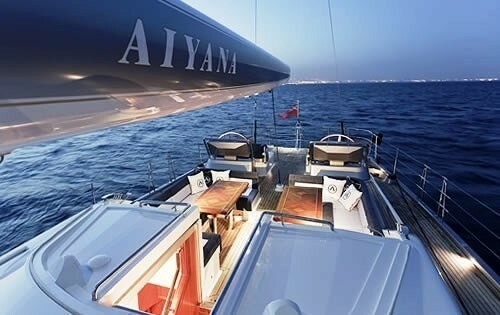 Luxury yacht AIYANA will be available for charter in the Mediterranean during the Summer and in the Caribbean during the Winter. 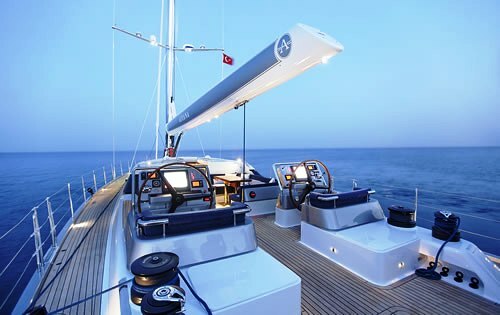 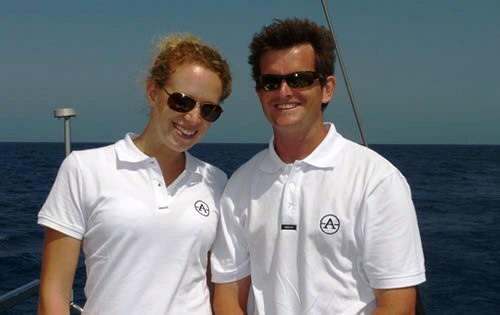 Luxury sailing yacht AIYANA has the following selection of extras onboard for charter guests to enjoy. 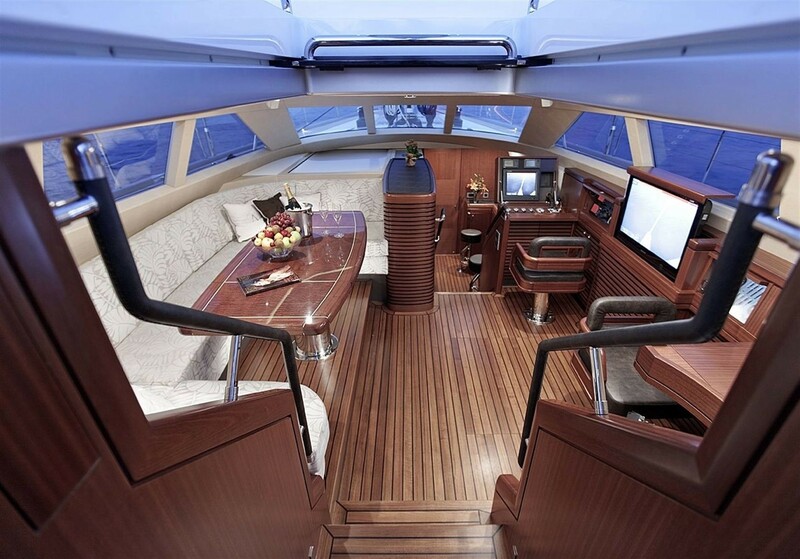 Tenders & Toys include an AB VS13 Tender with Yamaha 40HP, a 2-man kayak, and Water-skis. 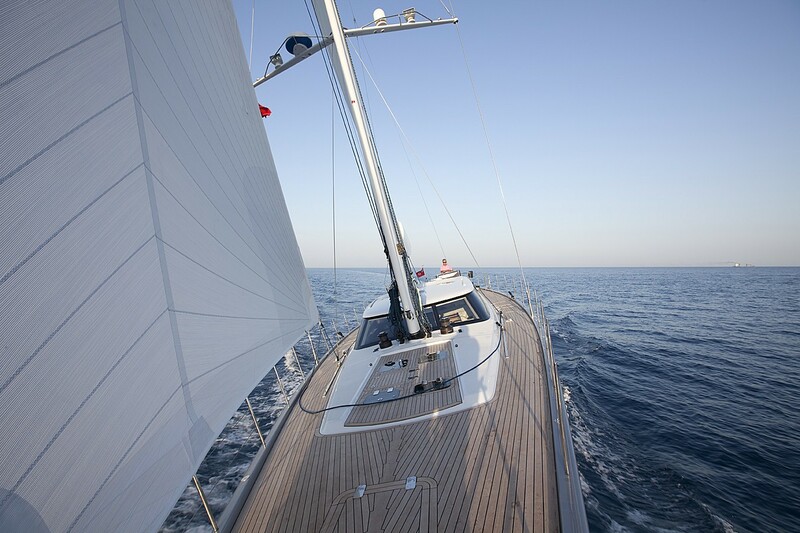 Communications include WIFI, Fleet Broadband, 3G/ GSM mobile. 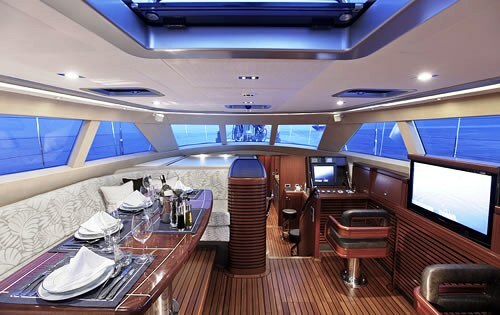 Audio Visual Equipment and Deck Facilities include Media Server and AMX Controlled System, TV’S in each cabin and music throughout.